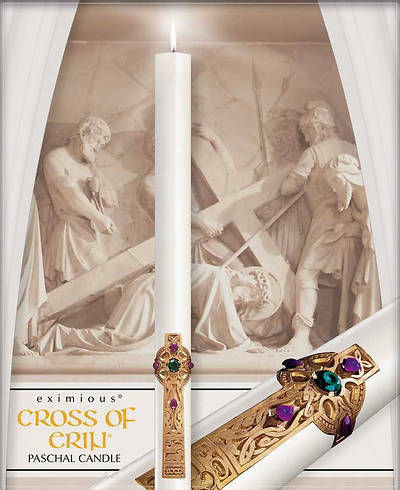 Cathedral Eximious Cross of Erin 51% Beeswax Paschal Candle 4" - 60"
Every Eximious candle from Cathedral is individually hand-made with intricate inlays, rich onlays, and classic sculptured engravings. The Cross of Erin paschal candle features a gold gothic style cross with purple and green jewels. Available in lengths ranging from 39" to 60" and diameters from 1-15-16" to 4".